In the February issue of ICON magazine, in partnership with Arper, Jamie is interviewed by Priya Khanchandani about weaving ‘finely crafted buildings into the awkward, hidden folds of our urban fabric’. 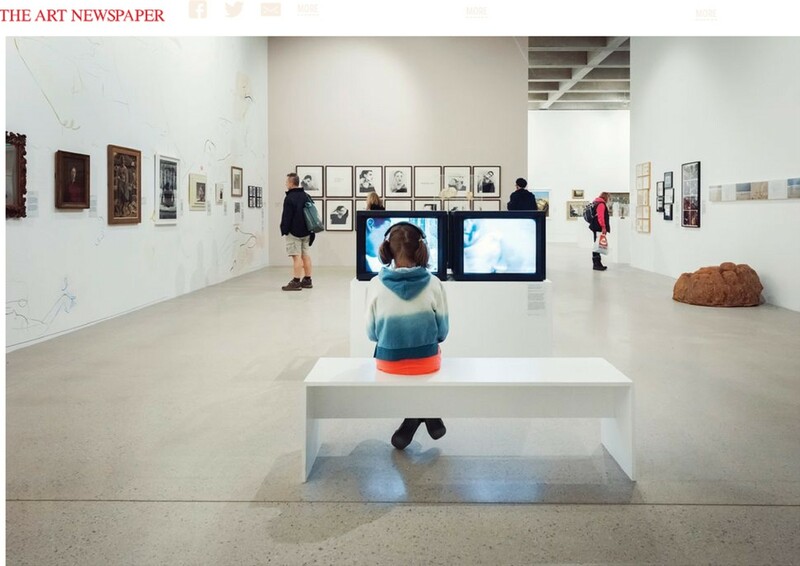 Ahead of this weeks announcement for Art Fund’s Museum of the Year, The Art Newspaper explores Tate’s connection to the community in St Ives. 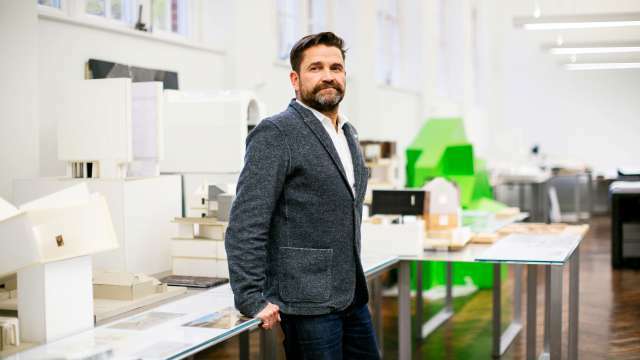 Ben Luke describes how “..the extension to the Tate’s westernmost outpost has been welcomed and is now enabling the gallery to reach its full potential”. Photography by Marc Atkins for the Art Fund. 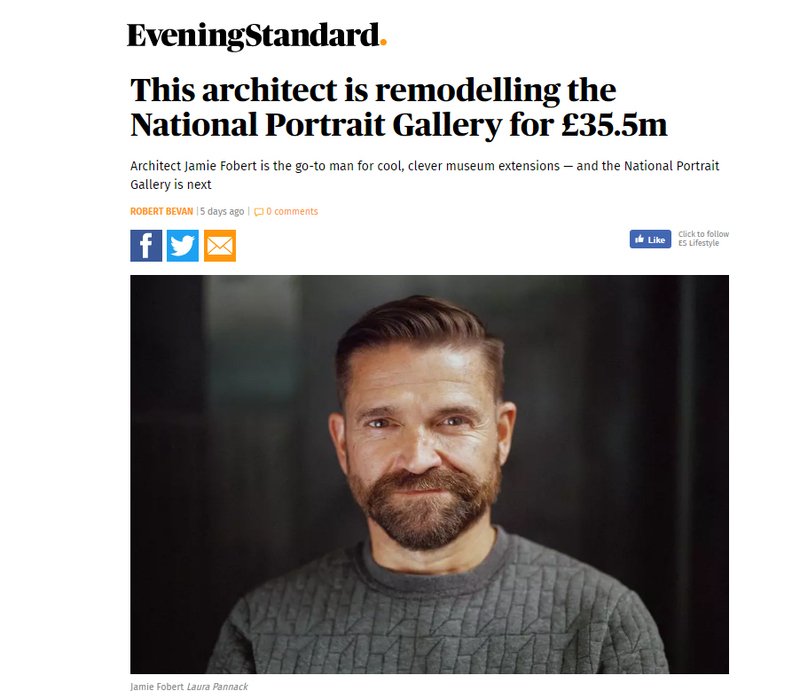 Jamie sat down with Robert Bevan of the Evening Standard to discuss being appointed to transform the National Portrait Gallery, how he started his career in architecture, his affinity for art and the links between Tate St Ives, Kettle’s Yard and Charleston. 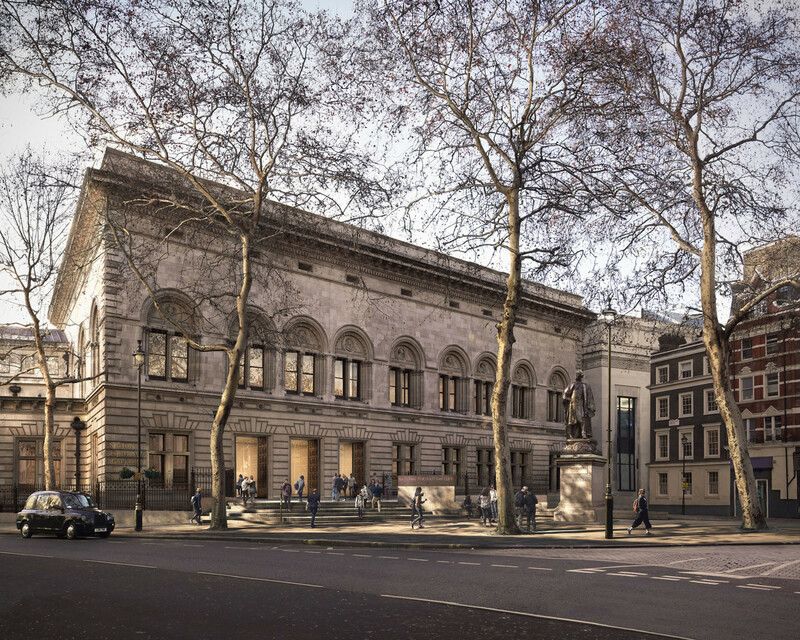 Robert described Jamie as the “go-to man for cool, clever museum extensions — and the National Portrait Gallery is next”. Read the full article in the Evening Standard. 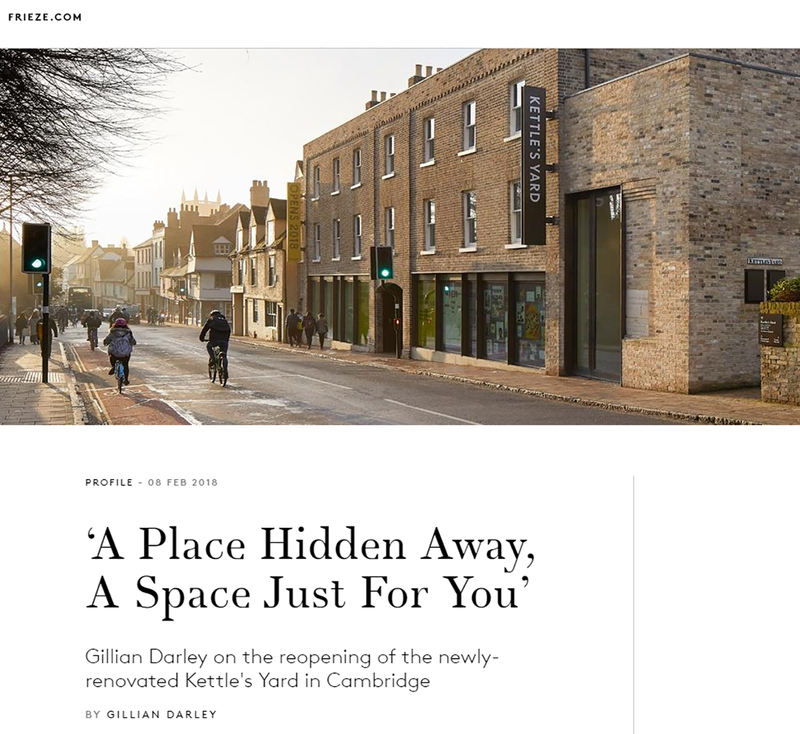 Gillian Darley eloquently writes for Frieze Magazine of our careful changes, thoughtful details and observant touches at the new Kettle’s Yard, which opened to the public on Saturday 10 February. “the transformation has been achieved, seemingly, by sleight of hand. Jamie Fobert Architects inserted a set of entirely new buildings which, until you set off for a room in the four-storey education centre or press on past the entrance area towards the pair of full height white-walled exhibition galleries, you scarcely suspect are there at all. The effect is the result of adherence to a palette of materials and forms that spill over and bond the old extension and the new front of house”. Read Gillian’s full review in Frieze. With less than a month until the re-opening, the Kettle’s Yard team is busy preparing the new galleries for the inaugural exhibition, ‘Actions: the image of the world can be different’. We have reconfigured and extended the existing building to comprise a new entrance and welcome area, two new galleries, a new education wing which includes two learning spaces, a cafe and a shop. The spaces and facilities of Kettles Yard have been vastly improved and yet the particular character of the place, created by curator and collector Jim Ede, is retained. 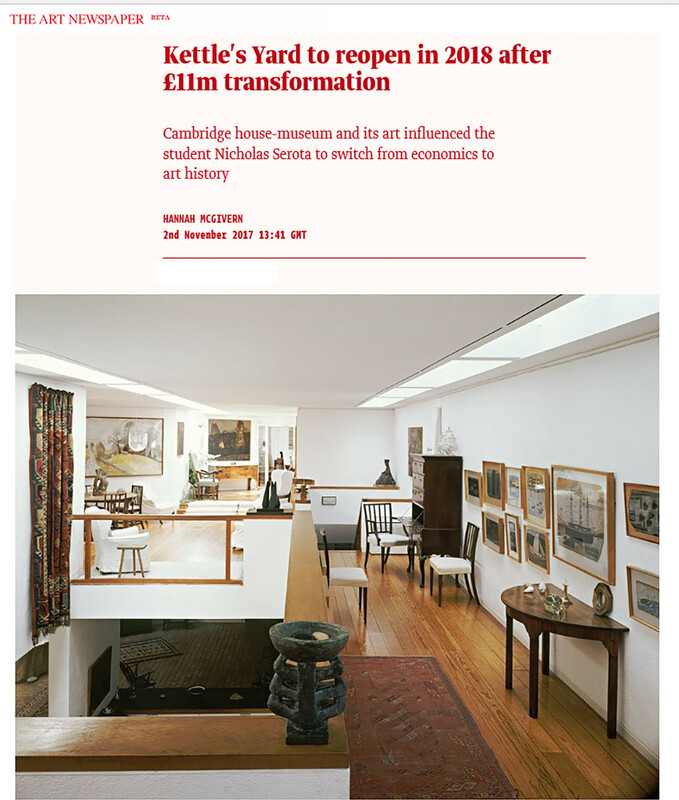 Our excitement for the re-opening of this much-loved Cambridge gallery is shared by The Art Newspaper, Frieze Magazine Archiboo, and The Times, all of whom have included the event in their previews for 2018. Jamie chatted to Monocle 24 Radio about everyday life in our Shoreditch studio, about how his nine years working for David Chipperfield was a formative part of his education as an architect, and his intuitive approach to design. The Art Newspaper announced today that Kettle’s Yard will be reopening their doors on 10 February 2018, with the exhibition ‘Actions: the Image of the World Can Be Different’. 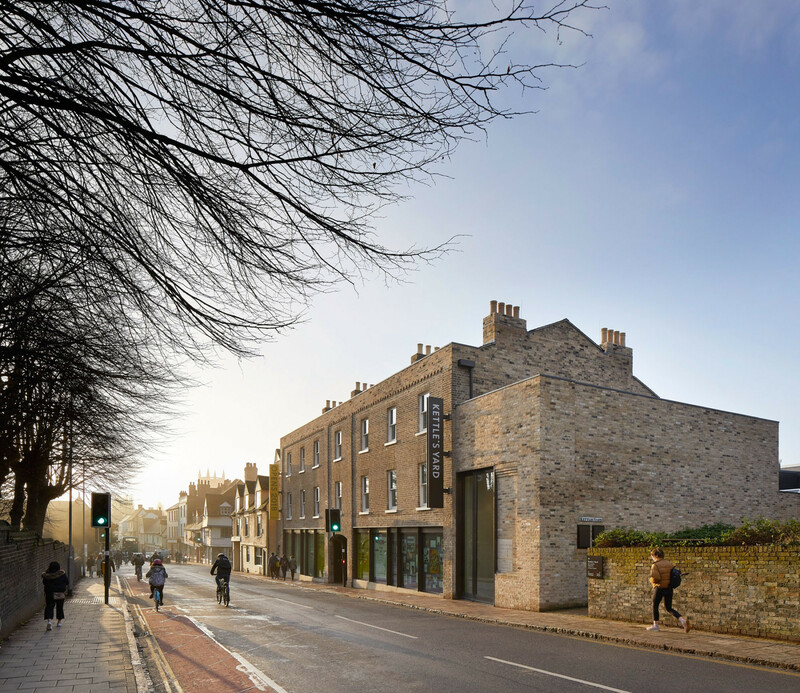 Our work at Kettle’s Yard is a series of gentle additions to improve visitors’ experience, which will include two new exhibition spaces, an education wing, café, shop and new welcome area. 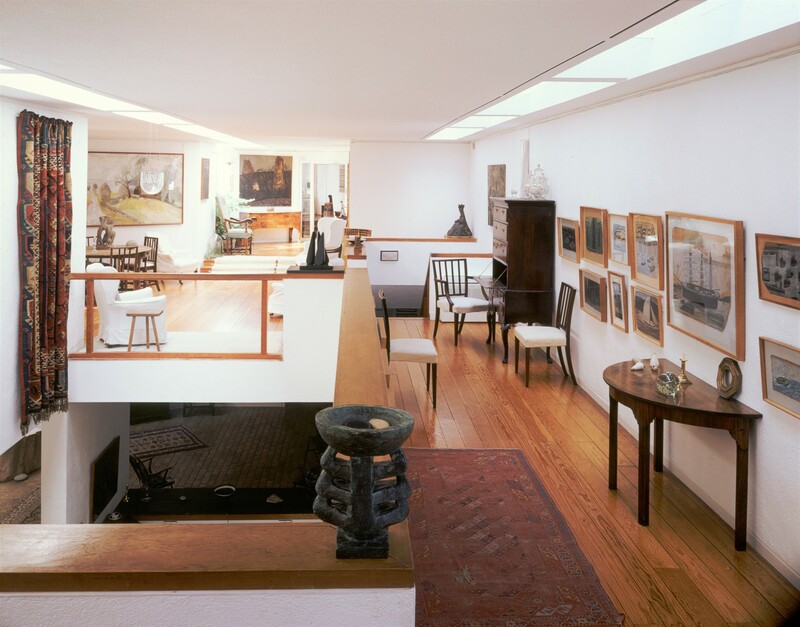 Learn more about our work at Kettle’s Yard. 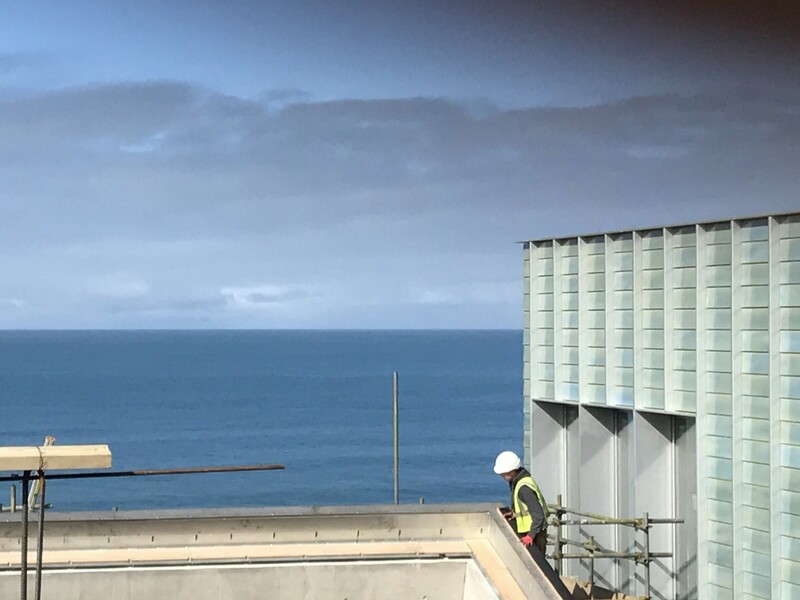 Rowan Moore describes our new gallery for Tate St Ives as “not any old exhibition space but one that contains about as much intelligence, strength of mind and sensitivity as it is possible to put into a single plain rectangle. It is only a room, as Cézanne didn’t exactly say of Monet, but what a room”. 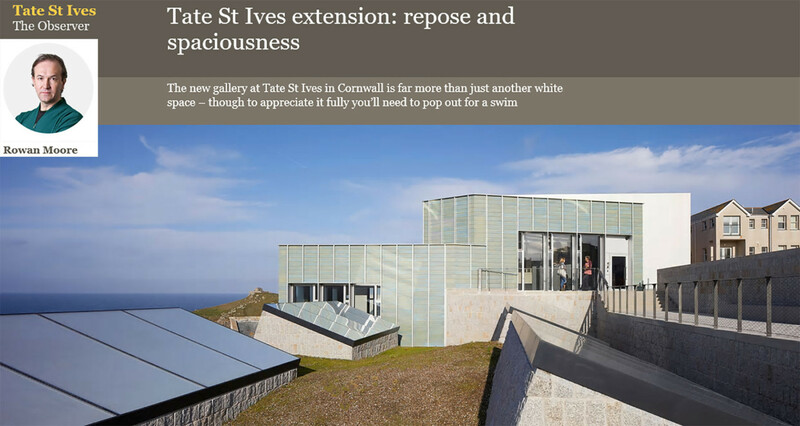 Read The New Tate St Ives review by Rowan Moore in The Observer. 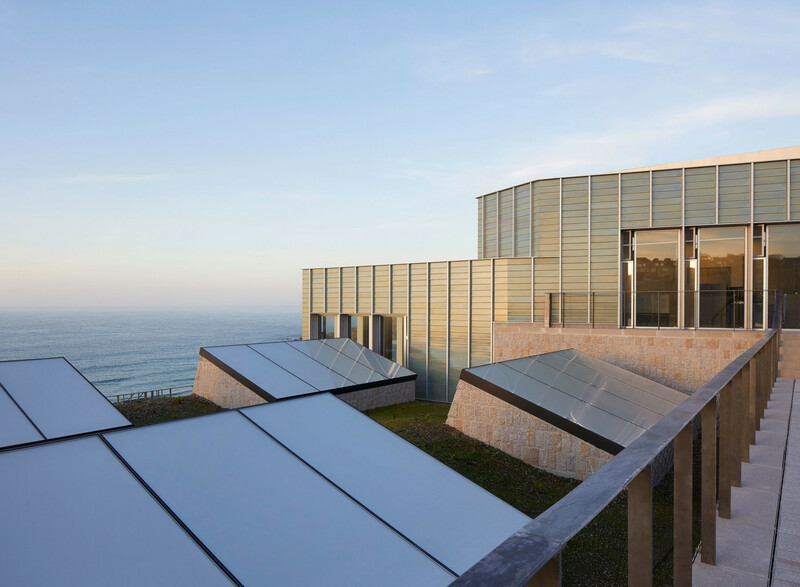 Architecture critic Ellis Woodman writes that our new Tate St Ives gallery “ranks among the most beautiful galleries in the country”. Read Ellis Woodman’s review in The Telegraph. Oliver Wainwright describes our new gallery as a ‘stunning space’ and examines some of the wider issues in the story of the building. Read Oliver Wainwright’s review in The Guardian. 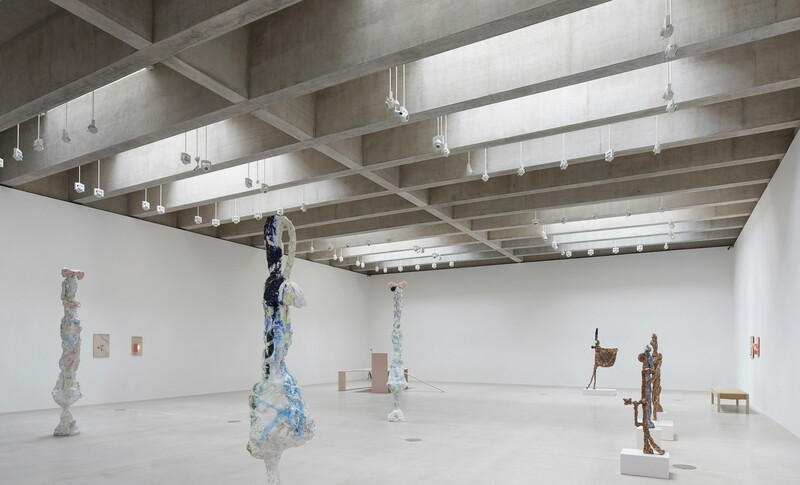 En Liang Khong describes the changing light in our recently completed Tate St Ives gallery. He writes that even on a cloudy day, sunnier intervals “transform the space, with light pooling and gently hanging in the centre”. Filmaker, Tapio Snellman, has elegantly captured in video our recently completed house Camino de Playa which has been featured online by Wallpaper*. Visit Wallpaper* to watch Tapio’s video or read more on Camino De Playa here on our website. There has been a flurry of press today announcing the new Tate St Ives! Ellis Woodman in The Telegraph described it as ‘ranked among the most beautiful galleries in the country’. In The AJ, Rob Wilson presents a selection of our drawings and design material to describe the building. 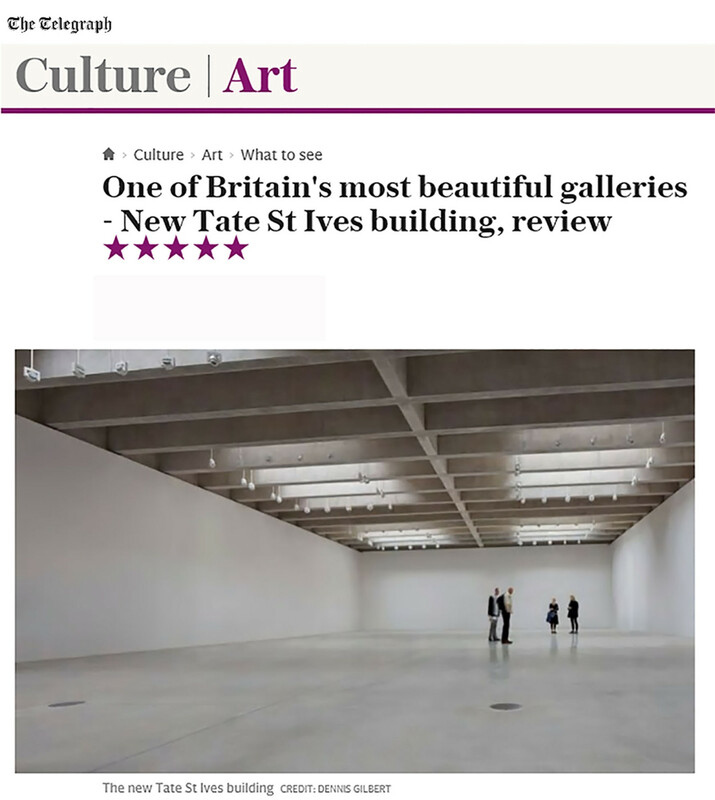 Oliver Wainwright in The Guardian describes our new gallery as a ‘stunning space’ and examines some of the wider issues in the story of the building. Jamie and partner Dominique have opened up their getaway home in Galicia, Northern Spain, to Caroline Roux for a feature in Wallpaper’s July 2017 design special. Entitled ‘Stone Love’, the article takes the reader through the twelve year development story of what was once a long-abandoned house now stunningly transformed. Roux writes ‘It’s so beautifully embedded in the landscape, you’d hardly know it’s there’. To read the full article visit Wallpaper or read more on Camino de Playa here on our website. 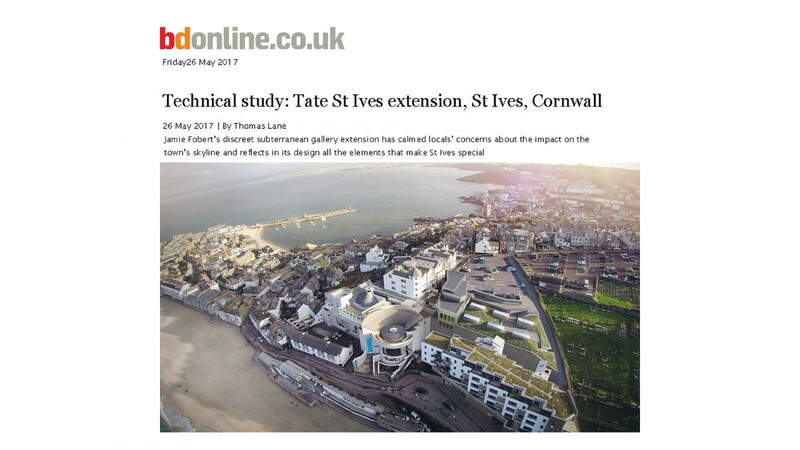 BD has published a technical study of the Tate St Ives extension. 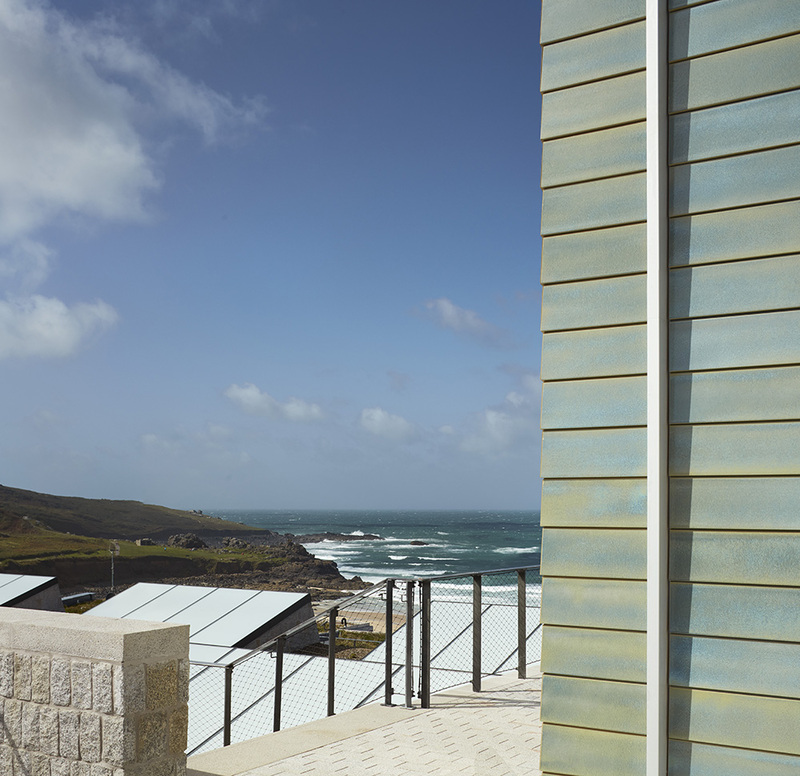 The piece discusses the importance of light, construction challenges and how landscaping and locally sourced granite have been used to integrate the extension into the Cornish coastline. 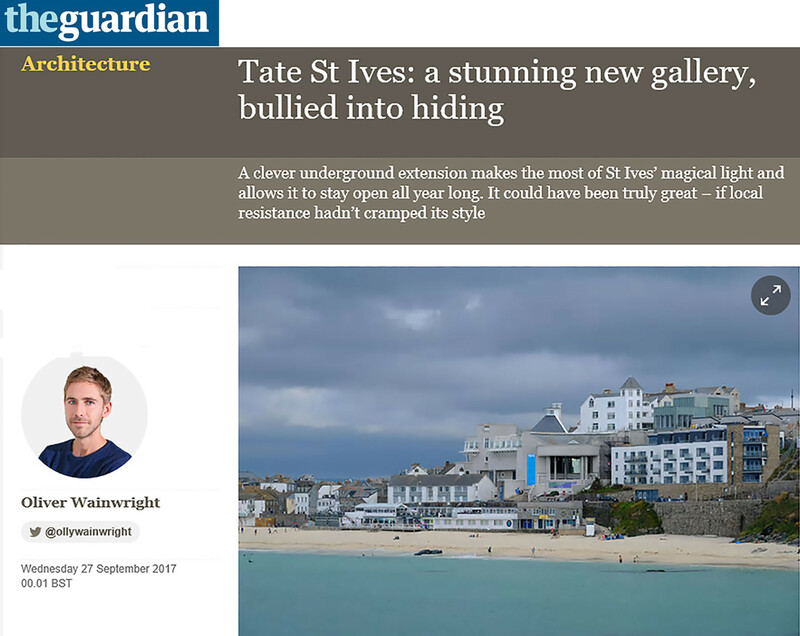 “Jamie Fobert’s discreet subterranean gallery extension has calmed locals’ concerns about the impact on the town’s skyline and reflects in its design all the elements that make St Ives special”. Written by Thomas Lane, BD Online. 26 May 2017. Yesterday, Tate hosted a press launch to announce that the new Tate St Ives will be opening to the public on 14 October 2017, with double the existing exhibition space. With great excitement, curators revealed that the first exhibition in JFA’s new gallery will be a solo show by artist Rebecca Warren. Jamie and project architect Matthew Whittaker shared our design with the gathered press. Dezeen gives a descriptive account of how we are channelling St Ives’ beautiful light into our submerged gallery. 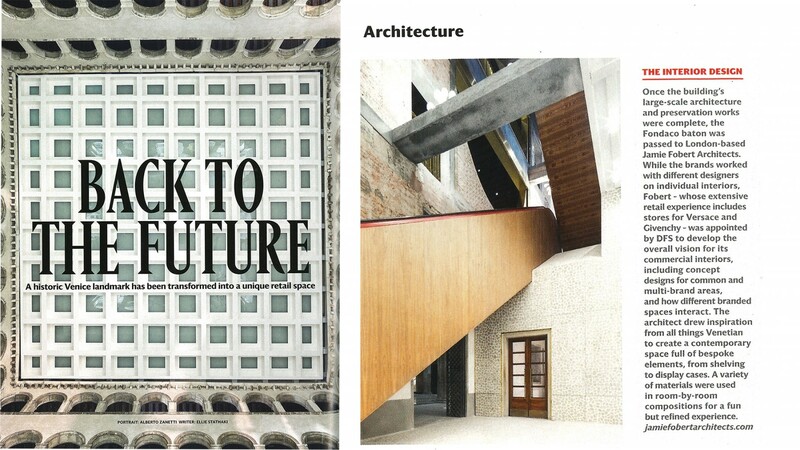 Recently opened Fondaco dei Tedeschi, in Venice, is featured in the October edition of Wallpaper magazine. Ellie Stathaki writes that ‘the Fondaco baton’ was passed over to Jamie Fobert Architects to create the internal retail vision. 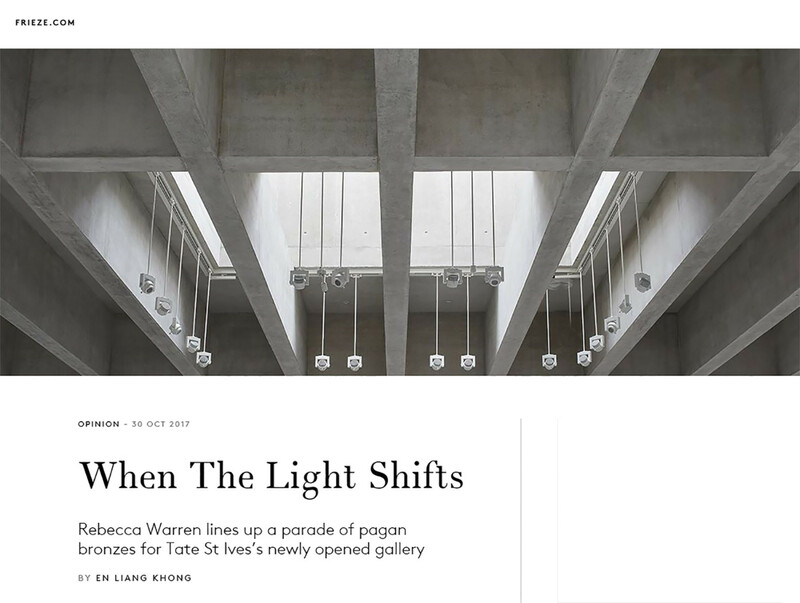 Daven Wu’s online version is still available to read on Wallpaper’s website.